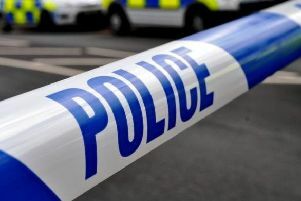 Police are appealing for witnesses after a man racially abused and threatened staff with an axe in a kebab shop in Hastings. Police have released details of a man they want to speak to in connection with the incident in Queen's Road, which was reported at around 8.45pm on Sunday (December 2). Police said an axe was recovered by police close to the shop. A police spokesman added: "A man racially abused and threatened staff with an axe. "The man we are looking for is aged around 20 and is described to be 5ft tall, of medium build and has short mousy, brown hair. "He was wearing a black coat, with a red design." Anyone who witnessed the incident or recognises the description, is asked to call 101, quoting serial 1101 of 2/12.